Every wine lover has a progression of experiences from the jug wines or fighting varietals they started with, through the wines of Germany, Bordeaux, Spain and Italy before they get to Rhone blends (the end goal is always Burgundy for some reason). In recent months, I’ve been drinking mostly southern Rhone-style blends from France, Spain and California. Most of these have been red with Mourvdère (or Monastrell) based wines a favorite. So I was pleased when Jeff (a.k.a. El Jefe) at Twisted Oak offered some samples of his new “River of Skulls” MourvÃ¨dre/Syrah blend. The first thing that stands out is the striking package. The red skull literally burned into the bottle signals this as something special. If you are looking for a wine for your Halloween party, look no further as your friends will be talking about both the bottle and what’s inside. The striking name is not some sort of commercial play for late October sales but a homage to local history near where the grapes were grown. It seems a Spanish Lieutenant exploring the area in the early 19th century happened across a number of skulls littered on the river bank. Being a practical man, he named this place “El Rio De Las Calaveras” or, literally, the “River of Skulls”. The grapes for this wine were grown in the Dalton Vineyard only a short distance from the Calaveras river. Along with seven other varieties, Dalton is planted with the Spanish clone of MourvÃ¨dre (called Monastrell in Spain). Although more known in the wine world as one of the 13 grapes of the Côtes du Rhône, Mourvdère is actually a native of Spain, most likely Catalonian. The Mourvdère, which makes up 90% of the blend, was fermented with about 25% whole clusters which adds to the backbone of the wine. Later, 10% Syrah from the same vineyard was blended to provide some additional structure and complexity. Nineteen months spent in a mixture of new and neutral oak barrels (50/50) provides the seasoning here. 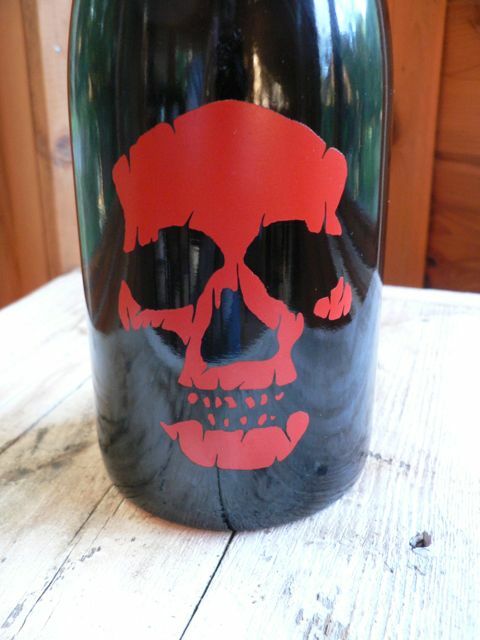 Like some other wines I’ve recently tasted, River of Skulls is only available on an allocated mailing list. Since I just was able to sign up myself it’s still open, but I’d suggest you do this soon before the wine is sold out. Twisted Oak, “River of Skulls”, Mourvdère, Dalton Vineyard, Calaveras County ($35 retail/$28 to club/received as sample) – Dark ruby in color with aromas of black cherry, fennel, tobacco, clove, and vanilla. Bold and concentrated blackberry and dark cherry fruit joined by cracked black pepper, some tar and sweet oak finishing long with moderately firm tannins. I’d recommend laying this one down for 2-3 years and see what emerges as there is plenty of fruit to stand up to the alcohol. I’m holding my second sample back a couple years and will blog my notes here sometime in late 2010. I’m back with another pick that I thought I hadn’t yet blogged but I wrote about the 2003 vintage for WBW 35. Bodegas Castano, “Hecula”, Monastrell, Yecla 2004 ($14) – Very dark purple-black with aromas of blackberry, bacon, licorice and vanilla. Ripe black cherry and blackberry fruit flavors with medium firm tannins, good acidity and a nice minerality on the finish. Another month has passed and it’s time for our virtual tasting, known as Wine Blogging Wednesday, masterminded by Lenn Thompson almost 3 years ago. This month’s theme, Passionate Spanish Wines, was chosen by Michelle & Kevin of My Wine Education. They ask that we pick some Spanish wine to blog with special attention to the values found for $10 USD and less. And what a great theme for me as I just spent 10 days in Spain. So I thought I would write notes for four wines that meet the host’s criteria; two purchased in Spain and two purchased here. I thought it would be fun to see which side of the pond the best Spanish values could be found. When I was in Montsant with Gabriella and Ryan from Catavino on July 2nd, I picked up the first wine I’ll blog tonight for 6.30 Euro ($8.66). It carries the prestigious Priorat D.O. and proves you can find some decent values from this red-hot region of Spain. Vinicola Del Priorat, “Onix Classic”, Priorat 2006 – A blend of Garnacha and Carignon. Dark purple in color with aromas of bing cherry and licorice. Cherry and strawberry fruit flavors with white pepper and dusty tannins. A solid value. The next purchase was made in Barcelona at a great wine store Ryan introduced me to named Vila Vini Teca. We challenged the staff for the best wine for under 6 Euros and they came up with the following for a shade over 4 Euro. Bodegas Agapito Rico, “Carchelo”, Jumilla 2006 (4.30 Euro/$5.90) – Made from 100% Monastrell (a.k.a. Mourvedre) this wine is extremely dark purple-black in color. Very strong blackberry jam and fennel aromas prepare the taster for a fruit bomb. And this wine doesn’t disappoint in the mouth with fresh boysenberry pie filling flavors with some blueberry and black pepper finishing very juicy and round with good acidity. A very nice value and a fun wine to drink. Back home I picked up a Garnacha (a.k.a. Grenache) from D.O. 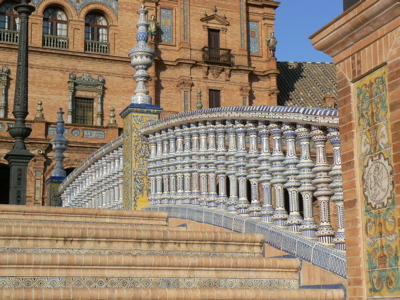 Calatayud in northeastern Spain’s Aragon region. ViÃƒÂ±a Alarba, Grenache, “Old Vines”, Calatayud 2005 ($8) – Garnet-purple in color with aromas of cherry, spice and earth. 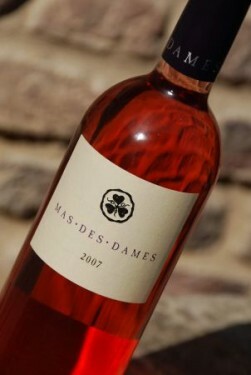 Medium bodied in the mouth with cranberry and strawberry fruit, some white pepper, earth and minerality on the finish. A lot of wine for the money. My final selection is one I tasted before I went on my trip that is only available here in the U.S. Selected and blended by Eric Solomon, this wine is perhaps the best value from Spain I’ve yet found. Bodegas Castano, “Hecula”, Yecla 2003 – ($10) – Another 100% Monastrell, this time from D.O. Yecla. Complex cherry, black currant, violet & licorice aromas. Black currant, blueberry & black pepper finishing with fine grained tannins, minerality and good acidity. A delicious value. What’s interesting about this tasting is how many great values can be found inside Spain and here in the U.S. From browsing wine stores in Spain, I’d give them the nod for more wines available under $10 USD a bottle. But here in the Twin Cities, we pay more for wine than in other parts of the country so you might find better pricing in your local market. Thanks again to Michelle & Kevin for a great and timely (for me) theme this month. I’m looking forward to WBW founder Lenn’s selection for next month’s 3-year anniversary event.